The Forest Hill from Palliser is a beautiful sectional that was designed to highlight soft, elegant lines that will blend in to your surroundings for a soothing overall effect. 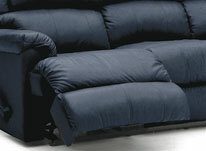 The plush, padded seating of this seat features cushioned headrests and a full chaiselounger recline, which provides a pampered buttress of support to the lower body. 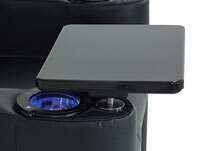 Meanwhile, a touch power recline lets you relax into any desired position at the press of a button. The Forest Hill uses a number of different modular pieces that can be combined into a wide array of configurations; a stationary chaise will also let you lay back. 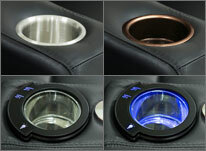 Storage consoles feature cup holders and ample space to place essential items. 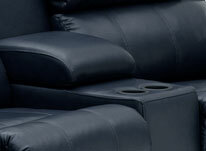 Choose from fabric or leather materials and dozens of color options to customize the sectional of your dreams.